James Coburn’s grin never fooled anybody. This was a man meant to eat steaks, or, barring them, other actors. But when Coburn flashes those choppers in the zanily neurotic The President’s Analyst, something magical happens, and it’s not just the way Lalo Schifrin’s score lurches into menace every time we see enamel. The actor presses right up to the edge of mania as high-profile shrink Sidney Schaefer, pursued by inept foreign spies. His teeth become almost a protective shell, and Coburn seems to know it, good-humoredly. I’ll take this performance over just about any other of his. Underseen and underloved, The President’s Analyst is usually hailed for its prophetic allure. A Nixonian thriller years before Watergate, it includes an unsettlingly prescient crack about the sanctity of the psychiatrist’s office pre-Ellsberg. (Writer-director Theodore Flicker was hassled by Feds for years; you wonder if they were asking him if he had a time machine.) Cold warriors on both sides of the Iron Curtain are presented as old friends linked by Freudian hang-ups; indeed, the sunny relationship between “CEA” spook Masters (Cambridge) and Russia’s Kropotkin (Darden) may be the real love affair of the movie. Most unnervingly, the ultimate villains turn out to be…the phone company and corporate America. And this is decades before cell-phone culture zombified the planet. Then again, this is a comedy, and an occasionally tired one. 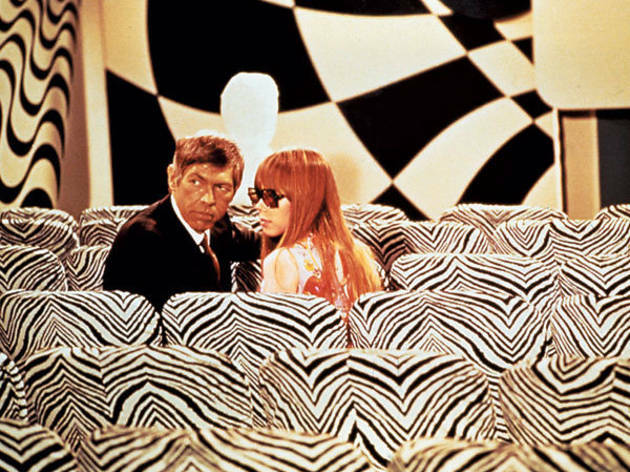 You’re definitely watching a groovy ’60s movie. But to realize that such studio entertainments found a way to accommodate politics and satire is to mourn something largely lost.